A DePaul University student is among the latest robbery victims in the Loop and River North, according to an alert issued by the school’s Office of Public Safety. The student was walking near DePaul's Loop Campus around 5:50 p.m. on Monday when three young men tried to sell him marijuana near the intersection of State and Adams, the school’s message said. When the student refused, one of the offenders displayed a knife and ordered him to drop his backpack. The student again refused to comply and was able to escape from the men, the school said. 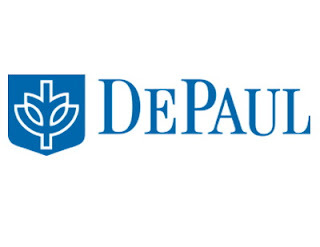 No further description of the offenders was offered by DePaul. • Two men robbed a CTA passenger on the Jackson Red Line platform around 2 p.m. on Saturday, according to a police report. The victim was waiting for a train when the two men battered him, took his wallet, and then jumped onto a departing train. According to the victim, the robbers were two black men in their 50’s who wore dark overcoats and hoodies. • Police said a 30-year-old woman was attacked and robbed by a group of male teens in the first block of East Huron around 7:40 p.m. last Wednesday. Four offenders pushed the woman to the ground, took her handbag, then jumped into a black sedan that sped from the scene. The woman was treated and released from Northwestern Memorial Hospital. 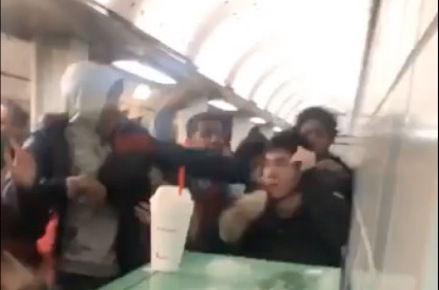 Chicago police today announced the fifth arrest in connection with the Dec. 29th mob attack of three victims on the Chicago-State Red Line platform. A 16-year-old boy was arrested after an anonymous tip led police to his location around 1:15 p.m. on Monday, police said. The teen has been charged with felony aggravated battery causing great bodily harm, felony mob action, and felony aggravated battery in a public place. Police said the boy was charged for his involvement in the beating of a 28-year-old man who suffered bone fractures and abrasions during the attack. Three other juveniles and 18-year-old Michael Sardin have also been charged in connection with the incident, which was partially captured on video.